The information collection, use, and dissemination practices of InnovativeEdge. This policy applies to InnovativeEdge's collection, use, storage and disclosure of information by InnovativeEdge on its (a) websites, including all its divisions, subsidiaries and related companies (collectively, the "Websites"), (b) on various third party websites, and (c) to InnovativeEdge's other information collection, including the purchase of customer lists from third parties. InnovativeEdge is not responsible for the information collection or privacy practices of third web sites or applications. InnovativeEdge collects information from individuals by various methods, including, but not limited to, when an individual voluntarily completes an InnovativeEdge survey, order form, or a registration page either online or offline, or by means of online or offline surveys, order forms, or registration pages operated by third parties (collectively, a "Survey"). (As used herein, "online" means using the Internet, including the Websites, and related technologies, and "offline" means by methods other than online, including in person, in the postal mail, using telephones and cell phones, and other similar means.) In the Surveys, InnovativeEdge or a third party (a "Third Party") may ask an individual to provide various information to InnovativeEdge, which may include his or her name, email address, street address, zip code, telephone numbers (including cell phone numbers and carriers), birth date, gender, salary range, education and marital status, occupation, social security number, employment information, personal and online interests, and such other information as may be requested from time to time (together, "Survey Information"). InnovativeEdge may also collect information concerning an individual from another source and uses that information in combination with information provided from this web site. Completing the Surveys is completely voluntary, and individuals are under no obligation to provide Survey Information to InnovativeEdge or Third Party, but an individual may receive incentives from InnovativeEdge or a Third Party in exchange for providing Survey Information to InnovativeEdge. InnovativeEdge collects information from individuals when an individual provides information to a third party and InnovativeEdge subsequently purchases, licenses, or otherwise acquires the information from the third party (the "Seller"). Such purchased information may include, but is not limited to, an individual's name, email address, street address, zip code, telephone numbers (including cell phone numbers and carriers), birth date, gender, salary range, education and marital status, occupation, industry of employment, personal and online interests, and such other information as the individual may have provided to the Seller (together, "Third Party List Information"). When acquiring Third Party List Information, InnovativeEdge seeks assurances from the Seller that the Seller has a right to transfer the Third Party List Information to InnovativeEdge and that the Seller has a right to provide offers from advertisers to the individuals whose personal information is included on the Seller's list. Other occasions when InnovativeEdge obtains information from individuals include (1) when an individual is making a claim for a prize or seeking to redeem an incentive offered by InnovativeEdge or by a third party, (2) when an individual requests assistance through InnovativeEdge's customer service department, and (3) when an individual voluntarily subscribes to a InnovativeEdge service or newsletter (together, "Other Information"). InnovativeEdge currently uses cookie and web beacon technology to associate certain Internet-related information about an individual with information about the individual in our database. Additionally, InnovativeEdge may use other new and evolving sources of information in the future (together, "Technology Information"). A cookie is a small amount of data stored on the hard drive of the individual's computer that allows InnovativeEdge to identify the individual with his or her corresponding data that resides in InnovativeEdge's database. You may read more about cookies at http://cookiecentral.com. Individuals who use the Websites need to accept cookies in order to use all of the features and functionality of the Websites. A web beacon is programming code that can be used to display an image on a web page (by using an <img src="x"> programming function -- see http://truste.org for more information), but can also be used to transfer an individual's unique user identification (often in the form of a cookie) to a database and associate the individual with previously acquired information about an individual in a database. This allows InnovativeEdge to track certain web sites an individual visits online. Web beacons are used to determine products or services an individual may be interested in, and to track online behavioral habits for marketing purposes. For example, InnovativeEdge might place, with the consent of a third party website, a web beacon on the third party's website where fishing products are sold. When John Doe , an individual listed in InnovativeEdge's database, visits the fishing website, InnovativeEdge receives notice by means of the web beacon that John Doe visited the fishing site, and InnovativeEdge would then update John Doe's profile with the information that John Doe is interested in fishing. InnovativeEdge may thereafter present offers of fishing related products and services to John Doe . In addition to using web beacons on web pages, InnovativeEdge also uses web beacons in email messages sent to individuals listed in InnovativeEdge's database. The use of technology on the Internet, including cookies and web beacons, is rapidly evolving, as is InnovativeEdge's use of new and evolving technology. As a result, InnovativeEdge strongly encourages individuals to revisit this policy for any updates regarding its use of technology. InnovativeEdge may receive information about individuals from third parties or from other sources of information outside of InnovativeEdge including information located in public databases ("Outside Information"). As used herein, Individual Information means Survey Information, Third Party List Information, Other Information, Technology Information, and Outside Information, and any other information InnovativeEdge gathers or receives about individuals. InnovativeEdge will never knowingly collect any personal information about children under the age of 13. If InnovativeEdge obtains actual knowledge that it has collected personal information about a child under the age of 13, that information will be immediately deleted from our database. Because it does not collect such information, InnovativeEdge has no such information to use or to disclose to third parties. InnovativeEdge has designed this policy in order to comply with the Children's Online Privacy Protection Act ("COPPA"). InnovativeEdge may in certain cases collect credit card numbers and related information, such as the expiration date of the card ("Credit Card Information") when an individual places an order from InnovativeEdge. When the Credit Card Information is submitted to InnovativeEdge, such information is encrypted and is protected with SSL encryption software. InnovativeEdge will use the Credit Card Information for purposes of processing and completing the purchase transaction, and the Credit Card Information will be disclosed to third parties only as necessary to complete the purchase transaction. The following paragraphs in Section 2 describe how InnovativeEdge currently uses Individual Information, but InnovativeEdge may change or broaden its use at any time. As noted below, InnovativeEdge may update this policy from time to time. InnovativeEdge may use Individual Information to provide promotional offers to individuals by means of email advertising, telephone marketing, direct mail marketing, online banner advertising, and package stuffers, among other possible uses. 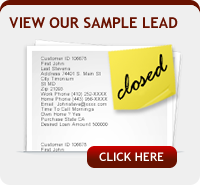 InnovativeEdge uses Individual Information to provide promotional offers by email to individuals. InnovativeEdge may maintain separate email lists for different purposes. If email recipients wish to end their email subscription from a particular list, they need to follow the instructions at the end of each email message to unsubscribe from the particular list. To unsubscribe from all InnovativeEdge’s email lists, a person must send an email to unsubscribe@InnovativeEdge.com. In certain commercial email messages sent by InnovativeEdge, an advertiser's name will appear in the "From:" line but hitting the "Reply" button will cause a reply email to be sent to InnovativeEdge. The "Subject:" line of InnovativeEdge email messages will usually contain a line provided from the advertiser to InnovativeEdge. InnovativeEdge only sends email to individuals who have agreed on the Websites to receive email from InnovativeEdge or to individuals who have agreed on third party websites to receive email from third parties such as InnovativeEdge. InnovativeEdge does not send unsolicited email messages. As a result, statutes requiring certain formatting for unsolicited email are not applicable to InnovativeEdge's email messages. InnovativeEdge uses Individual Information to target advertising to an individual. When an individual is using the Internet, InnovativeEdge uses Technology Information (see also Section 2.5 below) to associate an individual with that person's Individual Information, and InnovativeEdge attempts to show advertising for products and services in which the person has expressed an interest in the Surveys, indicated an interest by means of Technology Information, and otherwise. InnovativeEdge may, at its discretion, target advertising by using email, direct mail, telephones, cell phones, and other means of communication to provide promotional offers. 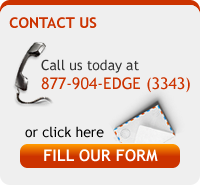 InnovativeEdge uses Individual Information to advertise, directly or indirectly, to individuals using direct mail marketing or telemarketing using telephones and cell phones. InnovativeEdge uses Technology Information (1) to match a person's Survey Information and Third Party List Information to other categories of Individual Information to make and improve profiles of individuals, (2) to track a person's online browsing habits on the Internet, (3) to determine which areas of InnovativeEdge's web sites are most frequently visited. This information helps InnovativeEdge to better understand the online habits of individuals so that InnovativeEdge can target advertising and promotions to them. InnovativeEdge uses Individual Information to make a profile of an individual. A profile can be created by combining Survey Information and Third Party List Information with other sources of Individual Information such as information obtained from public databases. InnovativeEdge stores the Individual Information in a database on InnovativeEdge computers. Our computers have security measures (such as a firewall) in place to protect against the loss, misuse, and alteration of the information under InnovativeEdge's control. Not withstanding such measures, InnovativeEdge cannot guarantee that its security measures will prevent InnovativeEdge computers from being illegally accessed, and the Individual Information on them stolen or altered. InnovativeEdge MAY SELL OR TRANSFER INDIVIDUAL INFORMATION TO THIRD PARTIES FOR ANY PURPOSE IN InnovativeEdge'S SOLE DISCRETION. InnovativeEdge will transfer Individual Information to third parties when necessary to provide a product or service that a person orders from such third party while using InnovativeEdge web sites or when responding to offers provided by InnovativeEdge. InnovativeEdge may disclose Individual Information to respond to subpoenas, court orders, and other legal processes. InnovativeEdge may sell or transfer non-individualized information, such as summary or aggregated anonymous information about all persons or sub-groups of persons. Individuals have access to their Individual Information collected to provide an opportunity for an individual to correct, amend, or delete such information. Access can be obtained by contacting info@InnovativeEdge.com. InnovativeEdge may also grant advertising clients and email services providers’ access to an individual's email address to verify the origin of the Individual Information collected. Advertising agencies, advertising networks, and other companies (together, "Advertisers") who place advertisements on the Websites and on the Internet generally may use their own cookies, web beacons, and other technology to collect information about individuals. InnovativeEdge does not control Advertisers' use of such technology and InnovativeEdge has no responsibility for the use of such technology to gather information about individuals. The Websites and email messages sometimes contain hypertext links to the web sites of third parties. InnovativeEdge is not responsible for the privacy practices or the content of such other web sites. Linked web sites may contain links to web sites maintained by third parties. Such links are provided for your convenience and reference only. InnovativeEdge does not operate or control in any respect any information, software, products or services available on such third party web sites. The inclusion of a link to a web site does not imply any endorsement of the services or the site, its contents, or its sponsoring organization. InnovativeEdge may disclose, transfer, and sell Individual Information to entities affiliated with InnovativeEdge in InnovativeEdge's discretion. To unsubscribe from a particular list, either (1) send an email to unsubscribe@InnovativeEdge.com or (2) follow the instructions in each promotional email message sent by InnovativeEdge. (b) Unsubscribe from all of InnovativeEdge email lists. We reserve the right to add Individual Information to multiple lists maintained by InnovativeEdge. To globally unsubscribe from all of InnovativeEdge’s lists, send an email to unsubscribe@InnovativeEdge.com.